Everyone knows that Thanksgiving is an American tradition that reaches into the hearts of men. Those who may not reach out at any other time, volunteer to serve meals to families less fortunate. Those who haven’t seen family members for years, extend themselves in unexpected ways to make Thanksgiving special. Organizations that serve others have special events to bring in the Holiday Season. Thanksgiving, Christmas, and the start of a New Year all come together to give us memories filled with happiness. 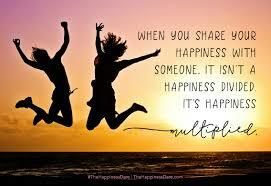 Matthew 25:21 …Come and share your master’s happiness! As I let that story sink in, it is with a heart filled with a deep desire to serve my heavenly Father that I wonder if He would entrust five bags of gold to me. As I serve those who call upon me to do so, I am assured that He sees those I serve, those we serve as an organization, as His wealth entrusted to us. When I take that into your clinic, I rest in knowing He sees the young women as His wealth. In each setting, how do I multiply that wealth and share in the master’s happiness? The answer is simple—I do so through obedience to His call, His instruction. Matthew 25:23… Come and share your master’s happiness! I want to come and share in the master’s happiness! I long for it. The parable states it not once, but twice. Come and share your master’s happiness! I want that! In order to be given such a time of sharing, I realize through reading the word that I must multiply. It is through multiplying what He has given that I will be allowed such sweet sharing. Sharing my master’s happiness! As I enter this holiday season and give thanks for the His call on my life, I will share a place at the spiritual table set with grace and mercy. Sharing in the master’s happiness—what a gift to receive!